Katherine Howard was the fifth wife of Henry VIII and cousin to the executed Anne Boleyn. She was beheaded at the age of seventeen in 1542 for crimes of adultery and treason. It was the great scandal of the Tudor age. The traditional story of Katherine Howard dwells on her sexual exploits before she married Henry. Here, her relationships with Henry Mannock and Francis Dereham confirm her as an empty-headed wanton. Then, following her move to court as a maiden of honour to Anne of Cleves, Katherine resumed her debauchery with Thomas Culpeper, a relationship that was continued even after her marriage to Henry. Katherine’s fall and execution are seen as just rewards for having led an abominable life. 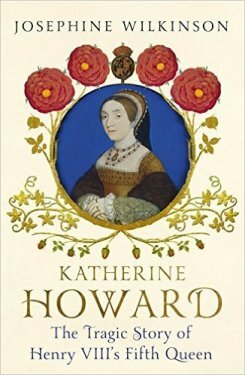 The true story of Katherine Howard could not be more different. It is a dark tale of child sexual abuse, court factionalism, religious conflict and political and sexual intrigue. A bright, kind and intelligent young woman, Katherine was fond of clothes and dancing, but she also had a sense of duty and tried to be a good wife and queen to Henry. Little more than a child in a man’s world, she was the tragic victim of those who held positions of authority over her and from whose influence she would never escape. "...a riveting portrait of a child in a man's world, the tragic victim of unscrupulous men in positions of authority over her." 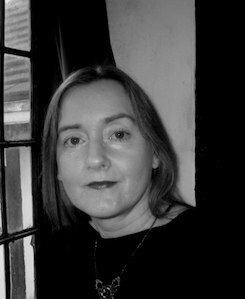 "It is a grim story but for those who continue to be fascinated by Tudor history, in biographies or novels or films, it will be required reading. " "an impressive revisionist biography … Good history challenges us to think as much about the present as about the past. This is good history." "If you're interested in reading a fresh take on Katherine Howard then this is a must-read. Although it's fully referenced and is perfect for a research book, Josephine uses a writing style that would draw any Tudor enthusiast into Katherine's story. It is an enjoyable and enlightening read." "Never before have I come across such an eye-opening book on her life. I was captivated by her story and will keep this to read again in the future. Historically, it is a sweeping look at life in general at the time, with many interesting facts about places involved (like my home town of St Albans). For readers who love a true story, and a look at the time it was set in, this is the best I’ve ever read. A book to keep and revisit." "Josephine Wilkinson’s book is outstanding, well written and thoroughly researched. I would strongly recommend it to anyone who wishes to learn more about Katherine Howard or the struggles that women faced during the Tudor age." " ...this book deserves commendation because of the painful truth it reveals about how women are abused by men and then blamed for the lust they arouse. Good history challenges us to think as much about the present as about the past."